Krups Canada is one of the biggest names in small home appliances in Canada. It is part of the Krups Company, which is based in Solingen, Germany. The company is, in turn, a member of Groupe SEB, together with Moulinex, Rowenta, Tefal, and others. Coffee makers, coffee grinders, electric kettles, waffle makers, and more make up the product lineup. Krups Canada sells home appliances in all states and territories of Canada and their products are distributed by the Walmart chain of retail stores. If you want to contact their customer service, there are several ways for you to do that. Krups Canada’s official website offers a general inquiry form on their Contact page. This form is for general use, from product inquiries to customer support, and even job applications. In general, you’ll have to provide your email address and the subject of your inquiry, and then select the exact product you want to ask about or need support for, and finally type your question in the text box below. The form also has the option to attach files (used for job applications, mostly). Once you fill out all mandatory fields (the ones marked with little red stars), click on the ‘Continue’ button. This will send the email and you will get the reference number for the follow-up. Once your question’s been processed, a member of Krups’ support team will contact you. The usual response time, as stated on the ‘Contact’ page, is 7 to 10 business days. Questions in both English and French are accepted. This is the only way to contact Krups Canada via email, as there are no alternatives. It is worth noting that the users who register their Krups products via the registration form are prioritized and should receive help faster. You can find the registration form here. If you’re reluctant to seek help via the worldwide web or don’t have internet access, there are alternative ways to reach Krups Canada’s support team. The company’s official website lists only one phone number for all inquiries and questions. You can find it on the ‘Contact’ page, above the email inquiry form. The number is 1-800-418-3325 and customers from all states and territories of Canada can use this toll-free line to get direct help from Krups’ support team. The support center works Monday to Friday from 9a.m. to 5 p.m. EST. The ‘Contact’ page also encourages the use of the phone line for serious problems which can’t wait the usual 7-10 business day response period. When you reach the support center, you will have to choose the type of the product that you’re inquiring about and choose the exact product, and only after that will you get the support. There are no local or regional helplines listed, as this is the only official one. Krups Canada offers support in both English and French. The official Krups Canada site also features an extensive ‘Frequently Asked Questions’ section. Instead of the traditional approach of a dedicated FAQ page, each product page features the answers to the most common questions below the product’s specifications. This way, you can find the important questions faster and easier, without having to plough through heaps of data and sections that you don’t need. The questions regarding maintenance & cleaning, technical support, and other product-related topics can be found in this section. The answers are concise, on point, and easy to understand. Usually, there will be 8-10 questions per product. They can be accessed by clicking on the topics on the left or arrows on the right. It is worth noticing that each product page also offers a user manual for the product. The manuals are in English, French, and Spanish. They’re short and informative, and cover the basics (maintenance, operation, cleaning) of the product very well. Krups Canada has a wide network of authorized repair centers throughout Canada. They are all listed on krups.ca’s ‘Repairs‘ page. The vast majority of the centers are located in the southeast, in and around Toronto, Ottawa, Montreal, Hamilton, and Quebec City. Authorized repair centers in the west are found in Regina, Calgary, and Vancouver. The ‘Repairs’ page also offers an interactive map with marked locations of the repair shops. The map can be zoomed in and out like every other online map. Find your city or the city nearest to you and click on a store marker. The pop-up will open above the marker and display the shop’s address, phone number and ‘Directions’ link. Beneath the map, there’s also a list of all repair shops. You will find the street address, phone number, and ‘Directions’ for each shop. The ‘Directions’ link will, when clicked, automatically calculate the route from your position (your Google location) to the repair shop. The search form on this page allows customized search, as well. You can search by postal code, city or region name. You can also set the distance of the repair stores relative to your location. It is worth noting that the authorized repair shops can service both warrantied and out-of-warranty products. Krups Canada also maintains a number of social media profiles. The most notable among them, and the ones listed on the official site, are Facebook, Twitter, and Instagram. The links to these can be found at the bottom of Krups Canada’s official website. 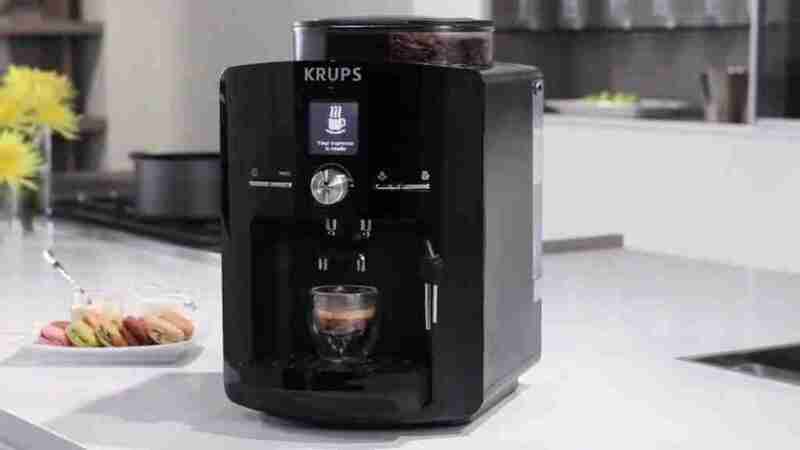 Though the social media profiles have enabled messaging, Krups’ official website strongly encourages its customers to use the site’s inquiry form or phone. Krups Canada’s official Twitter account is the company’s only one and it is mainly used for marketing and promotional purposes. There is no dedicated support or help account. The official Instagram account is full of high quality pictures that have to do with Krups products. Like the Twitter account, it is there mainly for marketing and promotion. Submit your review of the Krups customers care service. Your e-mail address will not be published. All fields marked with * are mandatory. 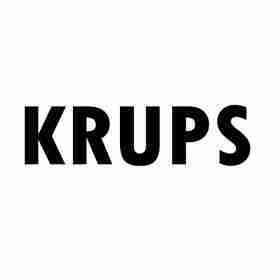 Do you work at Krups? Claim your listing for free! Qith a Company account you can to respond to reviews, update your profile and much more.